Darley is HH Sheikh Mohammed bin Rashid Al Maktoum’s global thoroughbred stallion operation which currently stands stallions in seven countries around the world. Darley's headquarters is Dalham Hall Stud in Newmarket - the renowned home of racing. The history of the thoroughbred involves wars, long sea journeys and a lucky find in Paris - and it all started back in the 17th century with just three remarkable stallions. A trio of dominant foundation sires heralded the dawn of the English Thoroughbred, and all racehorses now descend from these founding fathers. The oldest of the three is the Byerley Turk. Seized by a soldier called Captain Byerley during the battle of Buda in 1686, the Turkish stallion spent the next decade serving as the Captain's warhorse. 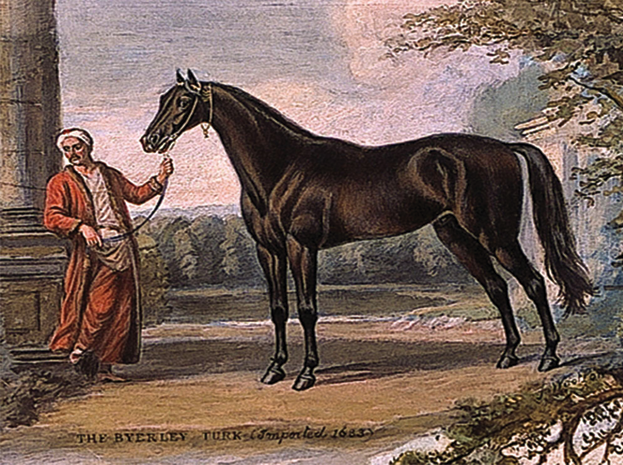 The Byerley Turk then moved with his newly-married owner to Yorkshire, England, where this legendary horse's dynasty was founded. In 1704, the Darley Arabian was bought in Aleppo, Syria, by Thomas Darley - an English trader and emissary of Queen Anne - who exchanged the horse for a shipment of rifles in the first arms deal in the Middle East. The stallion was then shipped to his family estate of Aldby Park in England, and entered racing legend as the Darley Arabian. 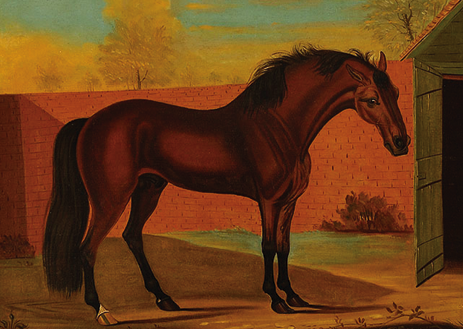 Known to have covered mares from 1706 to as late as 1719, before dying at the advanced age of 30 while the property of John Brewster Darley - the brother by marriage of Thomas Darley - the Darley Arabian has proved to be the most prepotent of the stallions who formed the thoroughbred. Most racehorses alive today carry several hundred crosses of his descendants - and 95% of modern thoroughbred racehorses can trace their Y chromosone back to this single stallion. Almost 280 years after the Darley Arabian stood his first season at stud, Sheikh Mohammed named his breeding operation in honour of the stallion: one of the Arab world's greatest exports. 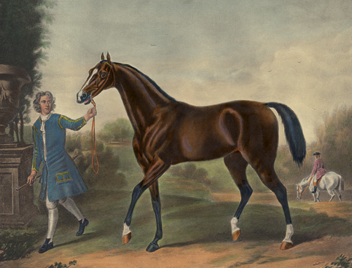 The third of the three most famous forefathers of the racehorse, the Godolphin Arabian, was foaled in 1724 in Yemen and given to King Louis XV of France by the Bey of Tunis. Not valued by his new owner, he was bought by Englishman Edward Coke, who found the famed stallion pulling a cart in Paris and brought the horse to England. Upon Edward Coke's death, the Arabian became the property of the Earl of Godolphin. Originally, this small stallion was considered inferior to the larger European horses of the time, but once he was allowed to cover mares, he produced offspring who were exceptionally fast on the track, and went on to sire many foals themselves. This was the start of the Godolphin Arabian's illustrious career: he spent the rest of his days as the Earl of Godolphin's prize stallion, bred to England's finest mares. The Godolphin Arabian is now buried at Wandlebury Park in Cambridgeshire, where visitors can see his commemorative stone in the passageway of the old buildings. Nearly 300 years later, the stallion's name found renewed fame as the inspiration for Sheikh Mohammed's famous racing stable. His Highness Sheikh Mohammed bin Rashid al Maktoum was born in July 1949 in Dubai, the third son of Dubai’s ruler Sheikh Rashid. It was while studying in Cambridge as a young man that the Sheikh attended his first horse race with his older brother, Sheikh Hamdan. Together they saw Royal Palace win the 2,000 Guineas at Newmarket: it was 1967, the Sheikh’s first time at the races in UK and it proved to be a formative experience. 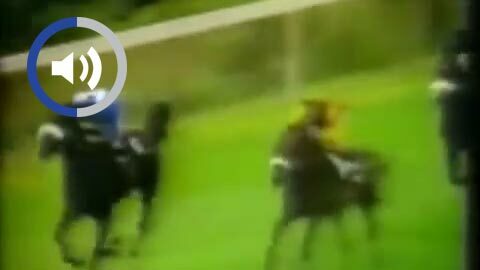 Just ten years after watching this race, Sheikh Mohammed welcomed the first of his own winners at Brighton Racecourse in England. The two-year-old filly Hatta, bought at the sales the previous October, became the first horse to win for Sheikh Mohammed. Hatta, who was famously fast, then went on to win at Glorious Goodwood later that summer. In 1981 Sheikh Mohammed purchased Dalham Hall Stud, on the outskirts of Newmarket, Suffolk – the historic home of thoroughbred horse racing, and now Darley’s international headquarters. Sheikh Mohammed bought the estate from Laurence Philipps, a shipping magnate who established what became known as the Dalham Hall Stud. The purchase included the one stallion standing there at the time – Great Nephew, sire of that year’s Derby hero Shergar – and ten mares, among them Oh So Fair, who was in foal carrying a filly subsequently named Oh So Sharp. Oh So Sharp went on to win the Fillies’ Triple Crown in 1985: a legendary accomplishment for a thoroughbred racehorse that is achieved by very few. 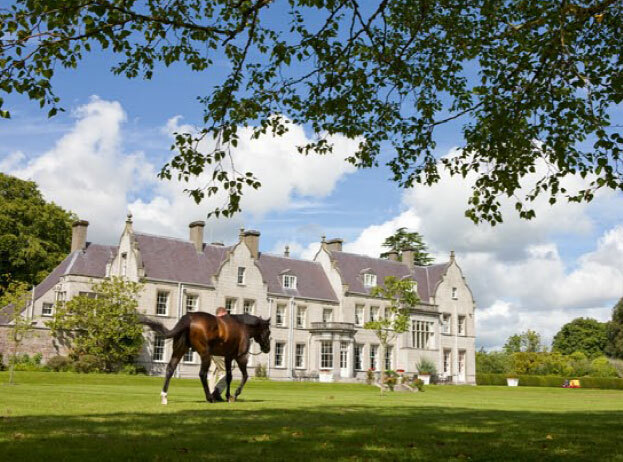 Sheikh Mohammed’s operation in Ireland is centred on Kildangan Stud, just outside Kildare. The stud was purchased in 1986, but been part of thoroughbred history for a century and has produced many Champions. In 1992, Godolphin was founded and the first runners from Sheikh Mohammed’s racing stable won in Dubai. Over the coming years, the very best horses owned by Sheikh Mohammed and other members of the Maktoum family started to run in the stable’s now-famous royal blue silks. 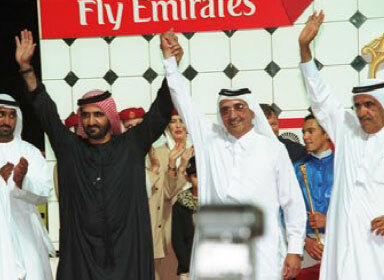 Sheikh Mohammed’s vision of hosting world-class racing in Dubai was realised in 1996 with the first running of the Dubai World Cup – the world’s richest horse race. 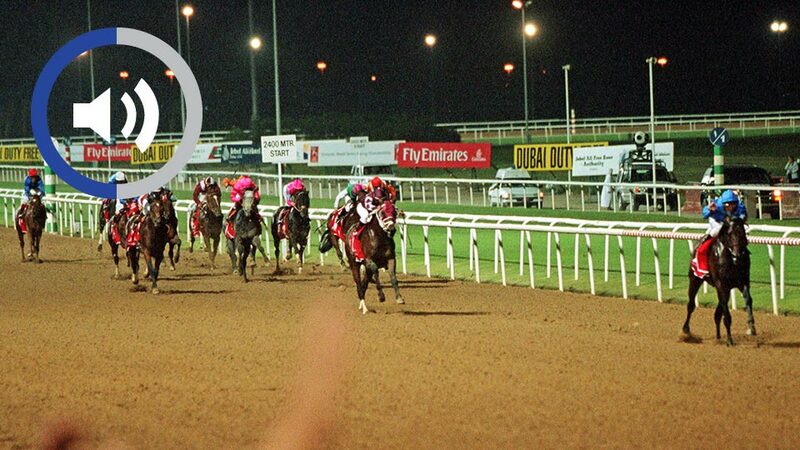 Taking place at Nad Al Sheba, the race was won by the extraordinary American Champion Cigar – his 14th consecutive win. In 2000, Dubai Millennium fulfilled the destiny implied in his name. 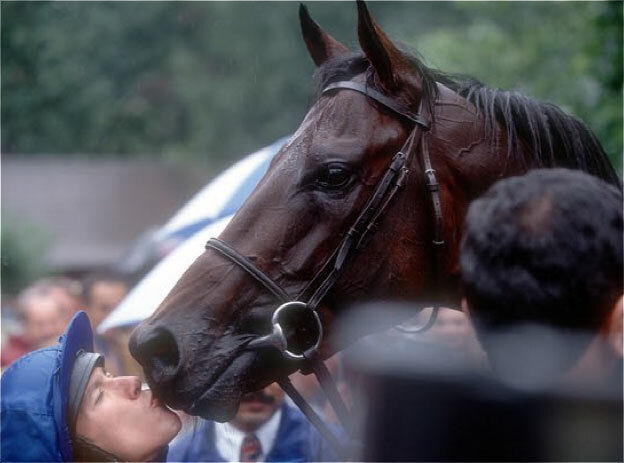 Bred at Dalham Hall Stud, this unforgettable horse recorded a remarkable victory in the Dubai World Cup. Dubai Millenium returned to Britain later the same year and won the G1 Prince Of Wales’s Stakes at Royal Ascot. This was to be his final start before injury cut his racing career short. His progeny, however, continue his dynasty. 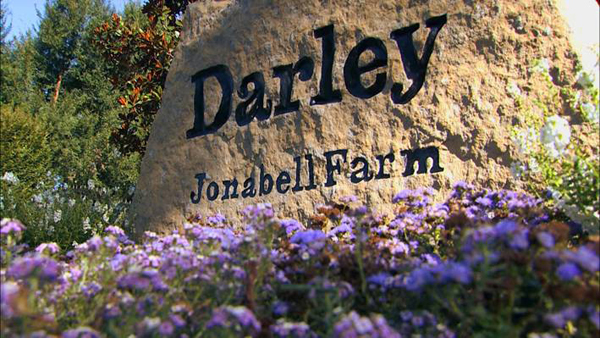 Darley’s global bloodstock expansion continued in 2001 when Sheikh Mohammed purchased Jonabell Farm in the famous bluegrass state of Kentucky. Jonabell was founded in 1946 by renowned breeder John A. Bell III, and has occupied its present location on Bowman Mill Road since 1954. Darley's bloodstock story in Australia began in 2003, with the purchase of Kelvinside Stud in New South Wales, from Hilton Cope, the former jockey and well-known breeder. The property has been developed into a world-class racehorse breeding facility with the capacity to stand 18 stallions. As Darley's Australian breeding business expanded, another property was acquired in 2006, this time in Victoria. Northwood Park is an historic horse and cattle property and can stand a further 12 stallions. In 2002 Darley also established a racehorse breeding stud in Japan, and has since made its first inroads into China. Sheikh Mohammed was honoured by the racing industry in 2008 when he was presented with the Cartier Award of Merit for his outstanding contribution to the thoroughbred industry. The same year, Stonerside Stables in Paris, Kentucky, was added to Darley’s list of stud farms. Meydan, the magnificent racecourse in Dubai conceived by Sheikh Mohammed, opened its doors in 2010 and has since hosted several hugely successful seasons of racing, each year culminating in the Dubai World Cup. In 2014 Dubawi, son of the great Dubai Millennium and now one of the world’s most successful stallions, recorded his 50th Group winner in a faster time than any other stallion. He now has his century firmly in sight, and achieved another significant milestone in 2017 when notching his 30th G1 winner. 2016 saw the global racing and breeding empires of Sheikh Mohammed, Darley and Godolphin, merge into one seamless operation. Darley, under which all Sheikh Mohammed’s bloodstock holdings formerly operated, is now used solely as a brand to promote stallions.